JKF Architecture Awarded Business North Carolina’s Public Project of the Year! JKF Architecture has been awarded the “Building North Carolina: Public Project of the Year” by Business North Carolina for its design of the Walter and Marie Williams Science Building at Pitt Community College (PCC). In its fourth year, Building North Carolina Award recipients are selected from the categories of public project, commercial project, renovation, and overall design using criteria that includes design, innovation, and community impact. Completed in 2017, the 78,000 SF facility is now the largest of the 18 buildings on the PCC Main Campus. Along with the Biotechnology Center, the Science Building has 9 classrooms, 16 laboratories, a STEM Learning Center, 2 flexible industrial spaces, science tutorial center, 24 faculty offices, and a 120-seat auditorium/lecture hall. The nearly $17 million structure was funded through a $19.9 million county bond referendum voters approved in 2013, and a $2 million grant from the U.S. Economic Development Administration. Farrior & Sons, Inc. of Farmville was the general contractor. The project bid $3 million under budget in August 2015 and the remaining $3 million in taxpayer savings is being put toward the delivery of PCC’s Early College High School, also designed by JKF Architecture and currently under construction. 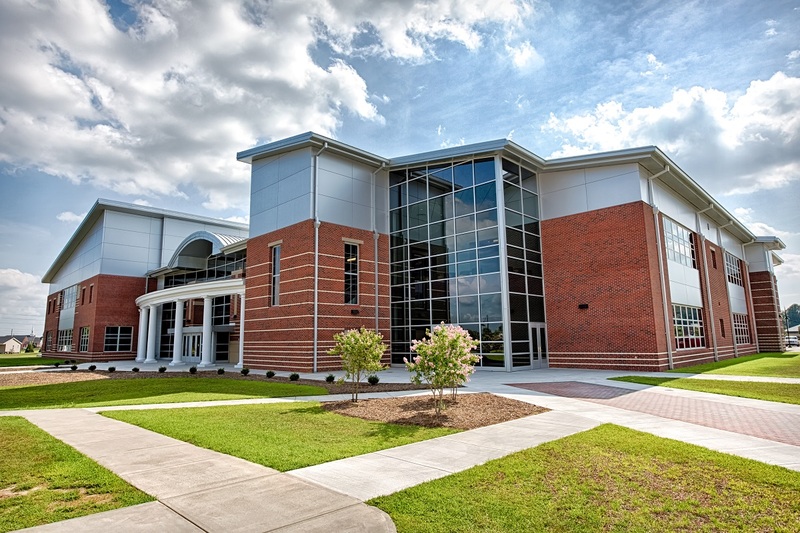 In addition to the immense educational value, the Williams Building supports Pitt County’s industrial recruitment and advanced manufacturing efforts, offering flexible space that helps employers find a readily available, highly-skilled workforce. Founded in 1998 by John K. Farkas, AIA, LEED AP, JKF Architecture delivers client-focused architectural, planning, and design solutions. The Firm serves a number of public and private clients across Eastern North Carolina, including nine different Community Colleges, East Carolina University, as well as a number of state agencies and local governments. “Our clients are our focus. Designing a built environment that supports their unique needs is something we are successful in and passionate about,” said Farkas.